It goes without saying, the decision to move a parent into an assisted living or nursing home facility is both heart wrenching and guilt filled. There is no doubt parents are happier in their own environment. Ninety-nine percent of the time, they thrive much better from their homes due to this one simple thing: A sense of independence. But what happens when it is obvious a move must be made? Many time aging parents are reluctant – even determined, they will not move into a facility and the one card they have to play, is the guilt card. “I’ve taken care of you all your life and you just want to put me away now?” Understandably, this is a normal response to the possibilities of losing your independence. Even the most loving parent can dig into the depths and find something to make the decision harder. Despite our best efforts, the decision to make this move can tear a family apart. Your job, and the jobs of your siblings is to prepare in advance. Sometimes the best a child can hope for is cooperation, even if it’s begrudging. *Have the discussion – Talk with aging parents early on and hash out scenarios that can be written down and placed into important papers. Address the what ifs. What if you fall and become unable to care for yourself? What if your memory becomes clouded and you cannot remember to eat, or bathe? What if your children are living in other states? There are lots of what ifs that your family can discuss. Address these things when parents are in good health and a bit more reasonable, then, many times the guilt of making this decision vanishes. 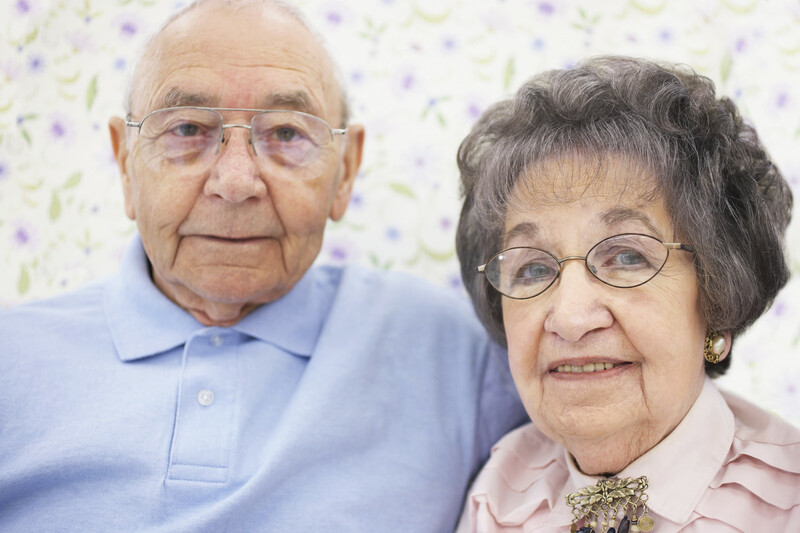 *Do the paperwork – Take time to make preparations for aging parents. 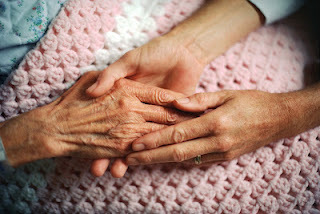 Secure necessary power of attorney for health and durable power of attorney for daily living care. Check into setting up a revocable trust that parents can divert funds or their home into which remain untouched for their care. Seek the assistance of the bank to place one executer as an owner on all bank accounts, IRA and insurance policies (simply having your name on the signature card does not allow you access to necessary funds in the event of death or an emergency). Put a living will, as well as an after-life will, into play and have copies handy in the event of an emergency. Place insurance, doctor’s names and phone numbers, pharmacies, and even copies of prescriptions and medication lists into a 3-ring binder for easy access. Add copies of drivers licenses, social security card, insurance cards – any cards that you feel might be necessary as times progresses. Having these things in place saves chaos and confusion when they are needed. *Visit facilities – Take time to visit facilities. See what each one offers. Check out costs, insurance coverages, and out-of-pocket expenses. Check with the families of other residents and see how the care stacks up with their loved one. When the time arrives you feel a move is necessary for the health and safety of your parent, make a doctor’s appointment, first without the parent and then later with the parent affected. Ask your questions, express your concerns. Give the doctor a heads up on your loved one. Then schedule an appointment with the parent. Allow the doctor to do a fair assessment and testing, and if the medical professional deems it necessary, allow them to be the one to recommend a move. Many times, aging parents will listen to the doctor before they will listen to their children. Again, it’s the fear of losing independence. Have and exhibit a show of compassion for this blow to your aging parent. It hurts and honestly, it’s frightening, so try to roll with the punches. Once the doctor has delivered the news, allow your parent some time to absorb the news. Don’t rush out of the office and into a facility. Offer your loved one some space to gather their thoughts and take in the reality of first – aging to this point; and secondly, releasing their independence. It is, after all, a life altering decision. *Take time to sort through possessions as a family – A few weeks prior to moving your parent, take time to sift through belongings with them. Allow them to pick and choose what they need to take. Remember they, they have to mentally adjust to having their possessions dispersed. Help them choose the sentimental items they can take with them that will keep their family and sense of familiarity close. Allow aging parents to give certain items to particular family members. A family recently moved their mother into an assisted living. Her great granddaughter had married a few months prior and grandmother was able to completely provide her granddaughter with all the necessities of homemaking – a new washer, dryer, refrigerator, stove, dishes, etc. It was a joy for this grandmother to give these items to her great grandchild knowing they would provide her with the same warmth and joy of housekeeping as they’d provided herself. The key to sorting through possessions with an aging parent is taking the time to reminisce as items are packed away. Once again, be compassionate. *Purchase a new mattress – Though this can be costly, it’s worth the effort. It’s difficult enough to sleep in a strange surrounding, but making the most of rest is vital. It sounds silly, but a new mattress that is comfortable helps lull your loved one into a more restful sleep. And a good night’s sleep is worth the effort. Loved ones will rest better, eat better, and have a healthier attitude if they are well rested. *Don’t forget to take the hobbies – If your mother is an active seamstress, take her sewing. If dad is an avid reader, make sure he has access to his reading. Try to make room for their favorite chair. It’s the little things that mean the most. *Keep their routine – If you visit weekly prior to the move, continue to do so. Routine is important. If mom has her hair done weekly, keep the routine. Not only do these routines help maintain “normal,” they also allow a sense of independence to care for one’s self. Take parents shopping, to church, and on outings. Being pro-active is vital. Your job as a caregiver at home may have lessened but it has not ended. Remain in close contact with your aging parents. It will make all the difference in the world. The decision to move into an assisted living or nursing home facility is hard but as a family, you can make the transition a joy and an adventure. Adding a caregiver into the mix will help make the transition easier, especially in the evenings when family has gone home. Will there still be bumps in the road? More than likely. Will all transitions be an easy fix? Probably not. But if you make the effort to make the move as easy and natural as possible, the weight and guilt of the decision is easier. ← How Do You Mend a Broken Heart?